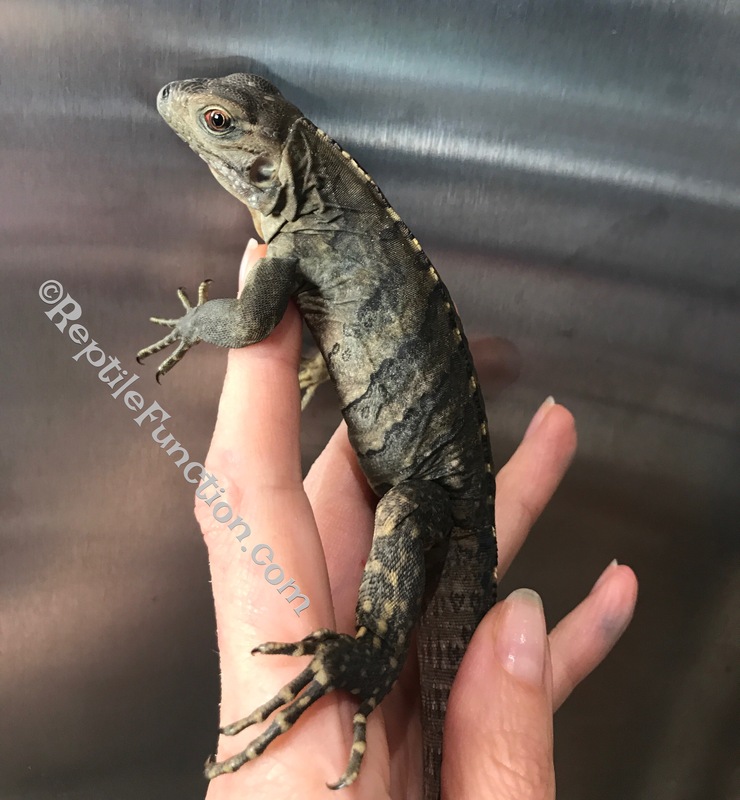 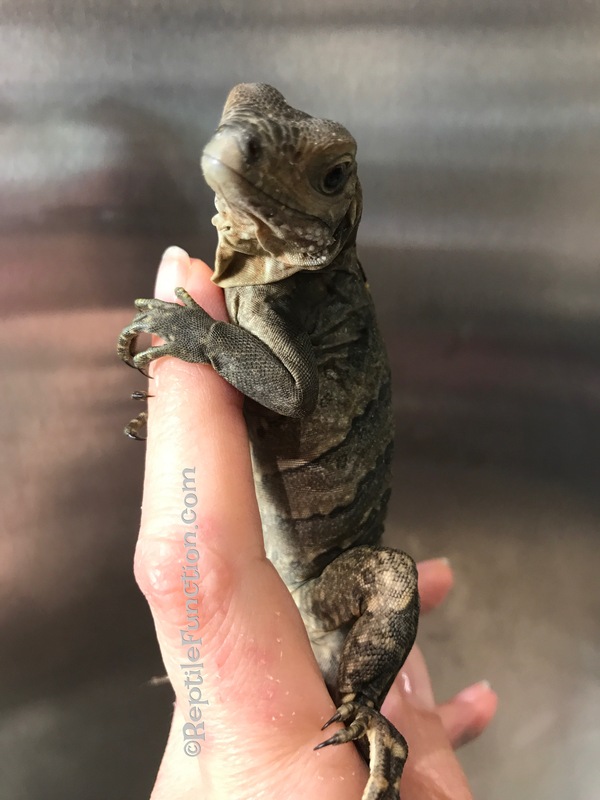 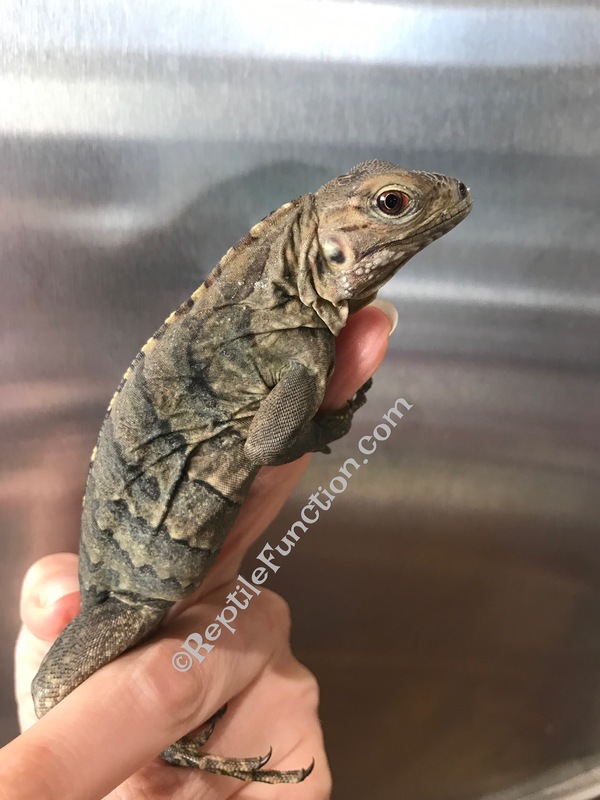 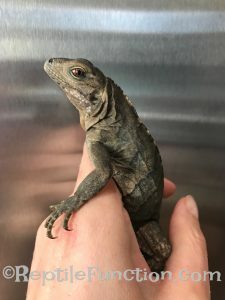 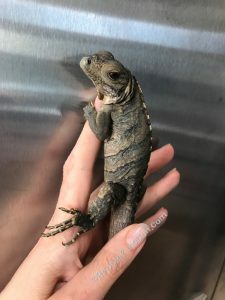 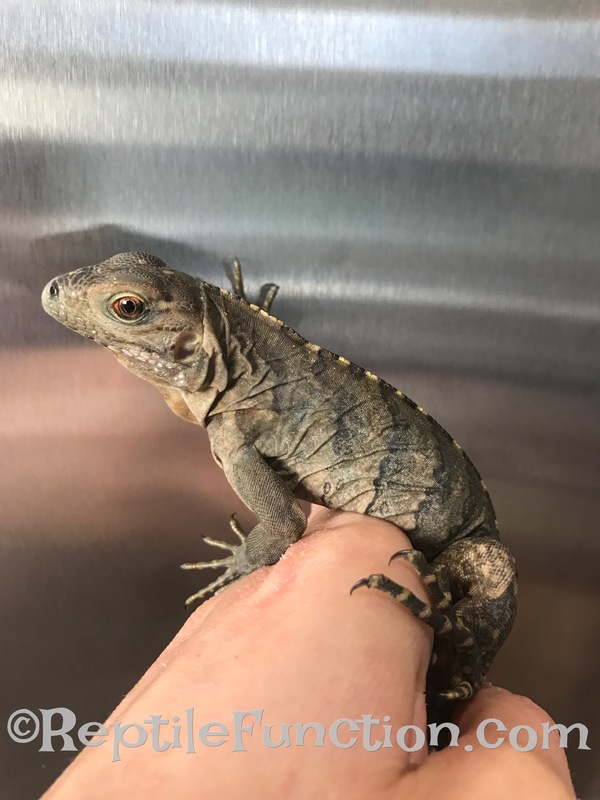 Introducing baby rock iguana Eclipse, Male, Cyclura lewisi hybrid. 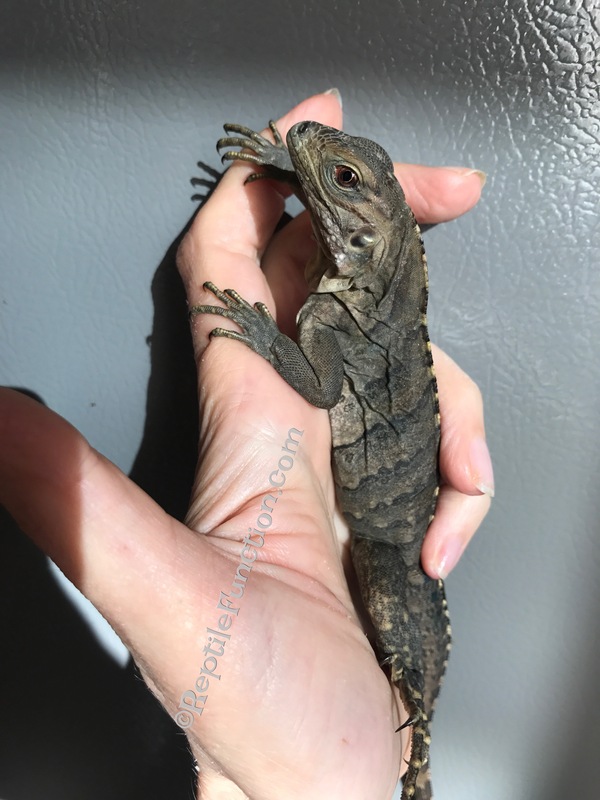 Eclipse is the darkest cyclura lewisi hybrid baby that I have ever produced. 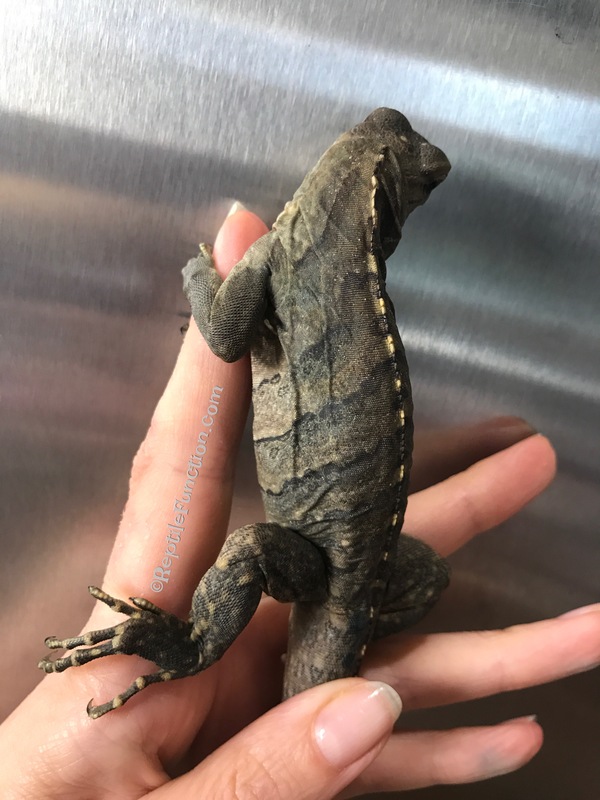 His colors are charcoal-blue with very “washed out” patterns, that rarely appear in cyclura lewisi species. 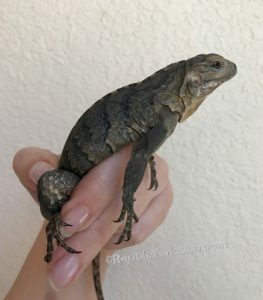 Some might label this rock iguana as “high percentage lewisi hybrid” due to very dark colors. 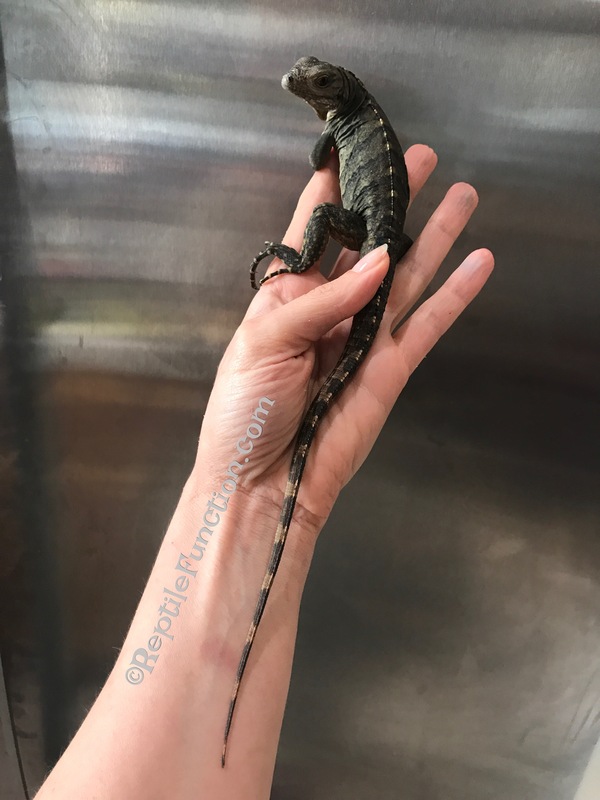 He also has rather long tail for his age. Eclipse is not shy and accepts handling very well. After a few minutes he relaxes in your hands and will even eat a blueberry treat while being held in your hands. Eclipse is in excellent health and perfect condition. With love and patience Eclipse will make a great pet and companion.